William the Conqueror's great legacy has to be the Domesday Book, an amazingly detailed inventory of England, which was commissioned in December 1085 and completed in 1086. Desperate for money to fund his continental wars and to defend England against foreign aggressors, William the Conqueror needed to know what taxes he could extract from his realm. So everything of value in William's kingdom was counted: heads, land, forest, livestock and tools. The book lists where people lived, who owed allegiance to whom, how much income was generated by trade or craft or farming. The royal officers were so thorough in their enquiries that there was no single hide nor a yard of land, nor indeed one ox nor one cow nor one pig which was left out. It is our good fortune that the book has survived the ravages of time and allows us a glimpse into a world that is sometimes as alien to us as the moon. 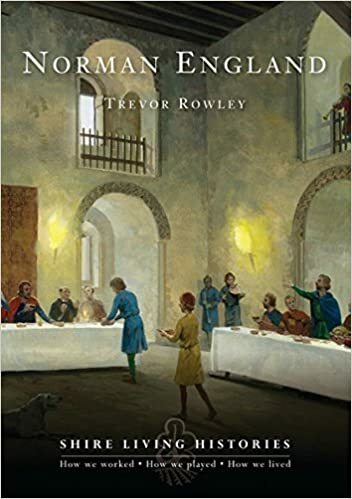 History books frequently only speak of the deeds of kings, but thanks to this remarkable survey, we can envision everyday life in Norman England and people's occupations, trades and beliefs. Images kindly made available by Professor J.J.N. Palmer and George Slater under a Creative Commons BY-SA licence. 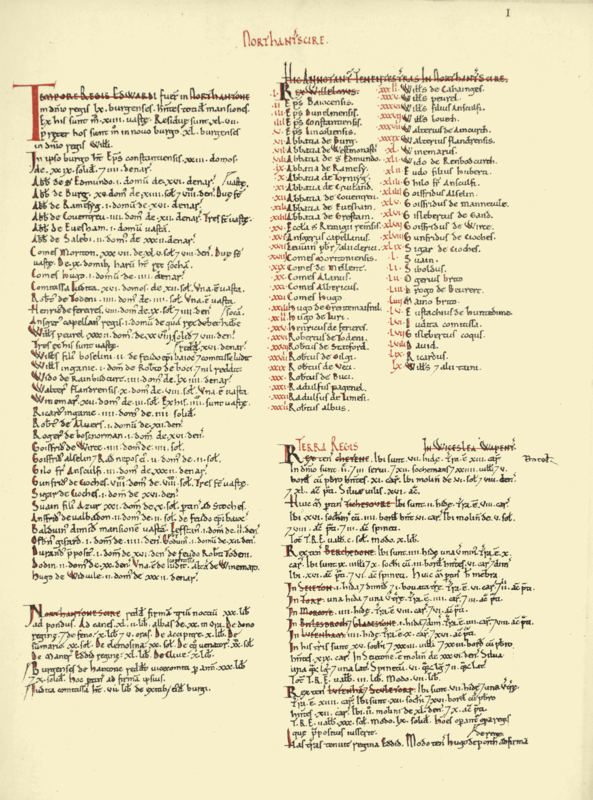 When I first came across this complete translation of the Domesday Book, I was really amazed. Putting almost 1000-year-old data into a form and language that makes sense to us today is a real feat. It's fun to read, too. 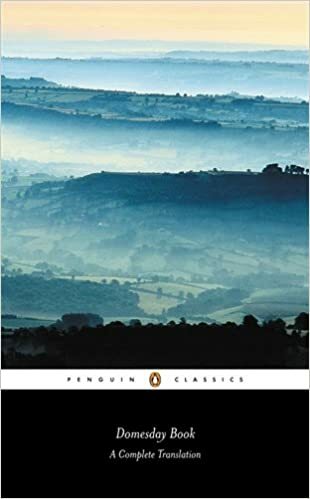 There are many towns in England claiming that they were mentioned in the book, and now it is very easy to check out their claims. For me as a writer of historical fiction, it's even more fun. The book has so much detail... down to the names of the individuals holding land or owning lifestock, it really brings the period to life. So if you're curious to find out what life in Norman England was really like... why not read the Domesday Book? 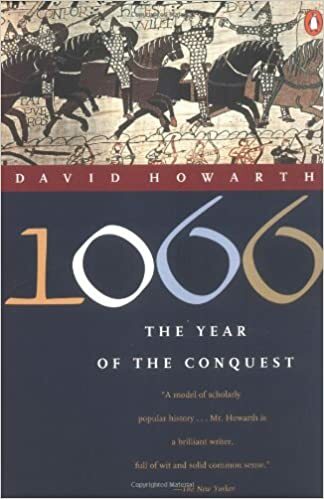 For more information about William the Conqueror and the Norman conquest of England, return to the Norman England page.